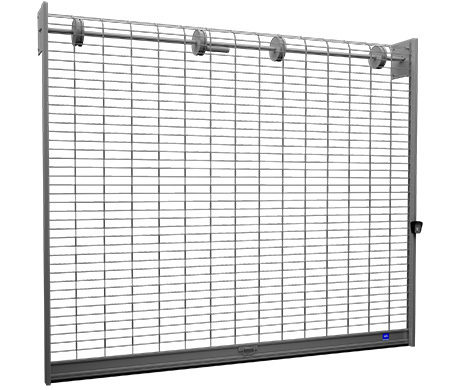 This type of rolling grilles is ideal when large rooms or premises need demarcation. 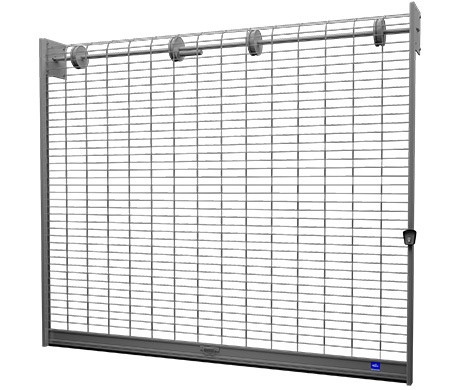 The main advantaje when choosing this model is that they can be mounted in such tiny places whilst other Rolling Grilles models (full panel or tubular) are too large to fit in. They`re made of pliable elements which move in a vertical plan. The tubes are made of galvanised steel which gives them real sturdiness. 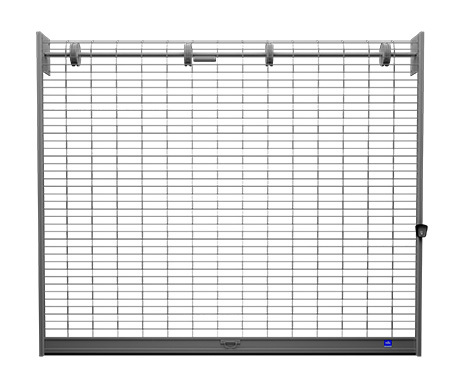 The action of the grille can be done manually using the handle, or automatically using the key switch or remote control.